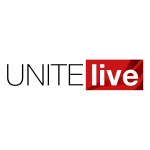 A troubling new practice of deducted the government’s Apprenticeship Levy from workers’ wages – on top of taxes meant to be paid by employers – has been described as a “new low” for rip off umbrella companies by Unite. The Apprenticeship Levy, set up by the government to fund skills training, is supposed to be paid by firms with wage bills in excess of £3m. But one firm has been exposed for deducting the levy from its workers’ pay packets – though doubtless there are many more. Clipper Contracting Group also uses staff wages to pay its employer’s National Insurance contributions. Unite said Clipper Contracting had reached a “new low” even for umbrella companies, which place themselves between staff and employers to skim workers’ hard earned wages. HGV driver Kevin Stewart, from Liverpool, told the Mirror about his experience working for Clipper Contracting. He said, “I was promised a wage of £12.50 an hour. When I received my payslip online there were all sorts of stoppages I did not understand. Stewart was working for courier firm UK Mail, which is investigating the claims, but was paid through umbrella firm Clipper Contracting. Clipper boss Rob Wilks admitted employer’s National Insurance and Apprenticeship Levy deductions were taken from Stewart’s wages and blamed the recruitment agency that advertised that job for not informing Stewart he would have to pay them. Unite national officer for road transport Adrian Jones said Stewart was being paid “a pittance”. He said, “Forcing the worker to pay the Apprenticeship Levy is a new low for umbrella companies. They are now passing taxes they should be paying themselves onto the workers who they are already fleecing. “Umbrella companies provide zero benefit to workers. All they do is help employers line their pockets by avoiding tax and ripping off staff. Employers are condoning this exploitation by turning a blind eye to contractors’ and agencies’ actions. Stewart’s case is the latest in a series of scandals involving firm’s using employment loopholes to cheat workers’ out of wages and employment rights. Unite is currently taking legal action against an employment agency supplying drivers for Co-op supermarkets over the use of ‘bogus self-employment’ practices that result in pay differences of nearly £3 an hour and deprive staff of basic rights such as holiday and sick pay. Meanwhile this week the Supreme Court ruled that a Pimlico Plumber worker who has worked for the firm for six years is entitled to workers’ rights despite being classified as self-employed. The ruling is expected to have widespread repercussions for the gig economy.